Located on a nice cul-de-sac street in Eastside Costa Mesa. This triplex really has the WOW FACTOR!!! 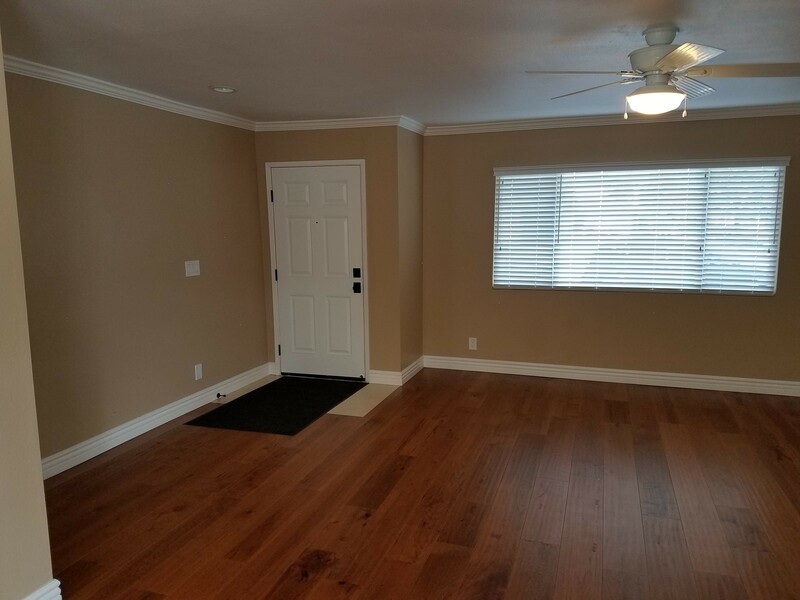 Fabulous curb appeal and a three bedroom unit with fireplace that looks like a model home with beautiful hardwood floors, remodeled kitchen with stunning granite counters, all new fixtures and high decorator base boards throughout. 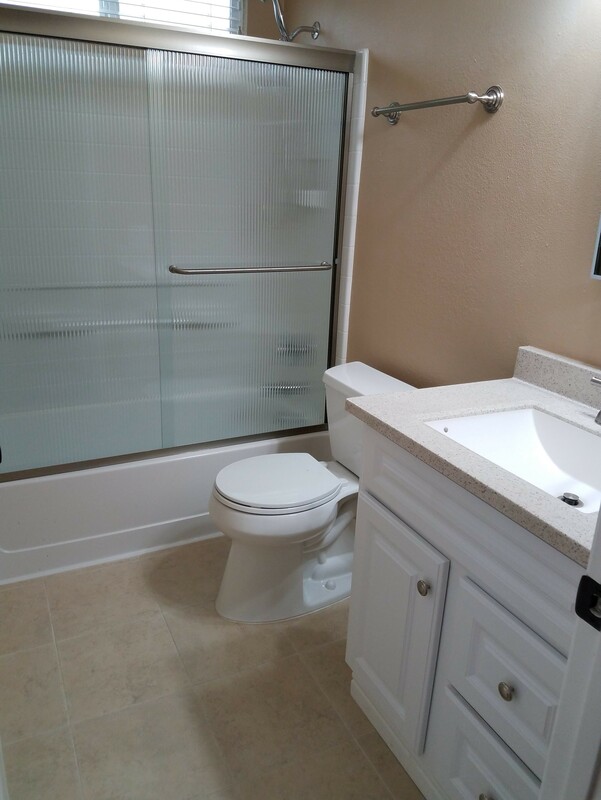 Both bathrooms of the three bedroom unit have been fully upgraded with all new shower enclosures, shower doors, new vanities, sinks and toilets...absolutely gorgeous!!!!!!. Brand new ceiling fans and overhead light fixtures in living room and all bedrooms. New mirrored closet doors in all bedrooms. The very large yard surrounding the three bedroom unit has been completely redone with beautiful pavers. 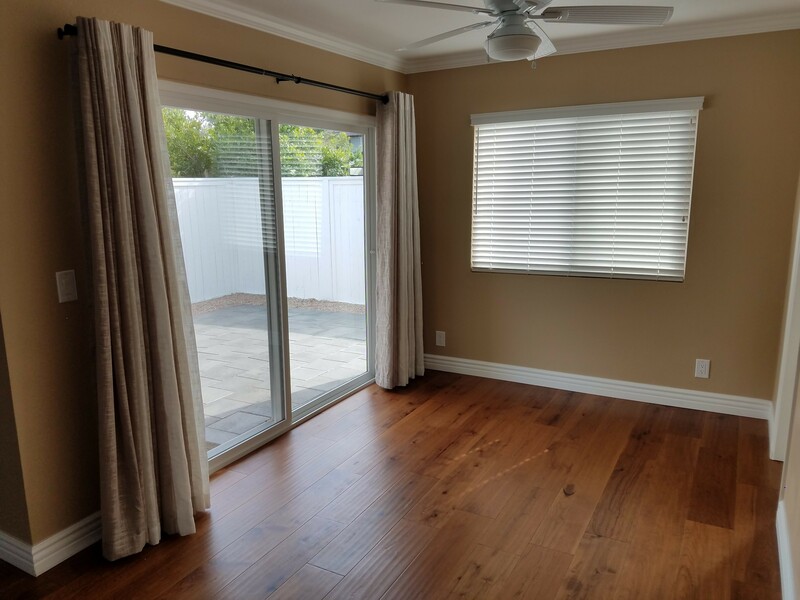 Exterior of the property includes newly constructed wood deck and stair railings and resurfaced decks, new exterior light fixtures, new roll-up garage doors and complete outside paint, new front doors and new upgraded and secured metal mail box. This is a very low maintenance property and very easy to rent because of the great location and condition of the property. Rents shown are projected for the 3 br unit currently being rented. Unit "C" rent is projected as tenant is moving by the end of April and the unit will be re-rented at the rent shown of $2,200 per mo. NOTE: Gross rent shown is Projected!!! Hurry on the very rare property as it will sell fast!!! Rare opportunity to own one of the very nicest custom, pride of ownership 4-plexes in Old Town Tustin. Located on a very quaint street with mostly charming single-family homes. This property has approx. 4,662 Sq. Ft. of living space and is located on an exceptionally large 12,447 Sq. Ft. lot (50' x 249') with abundant off-street parking for 10 - 12 cars. Property is self contained with block walls on 3 sides and no alley access in the rear making it very easy to have control over the property and tenant's living environment. Significant recent improvements to the property have created beautiful curb appeal. Great large owner's unit consists of a 2 story townhouse style unit with 3br - 2.5ba with central Air Conditioning and Heat, very large yard, living room/fireplace, family room and a 2 car garage with direct access and washer/dryer hook-ups in the garage. Bldg. was re-plumbed approx. 7-10 years ago. The other 3 units are all very large 2br-2ba units each with a single car garage and additional parking space. Downstairs units have large yard/patios. Upstairs unit has a balcony. Great curb appeal! All unit have either Granite or Quartz kitchen counters and are in excellent condition. The yearly gross scheduled income is excellent at $109,005 and still room to raise rent. This property has it all. So hard to find. Front owner's unit may be shown. See showing instructions. Do not talk to Tenants! Excel. Investment Opportunity. Great for owner Occupant!!!! Hurry on this one! 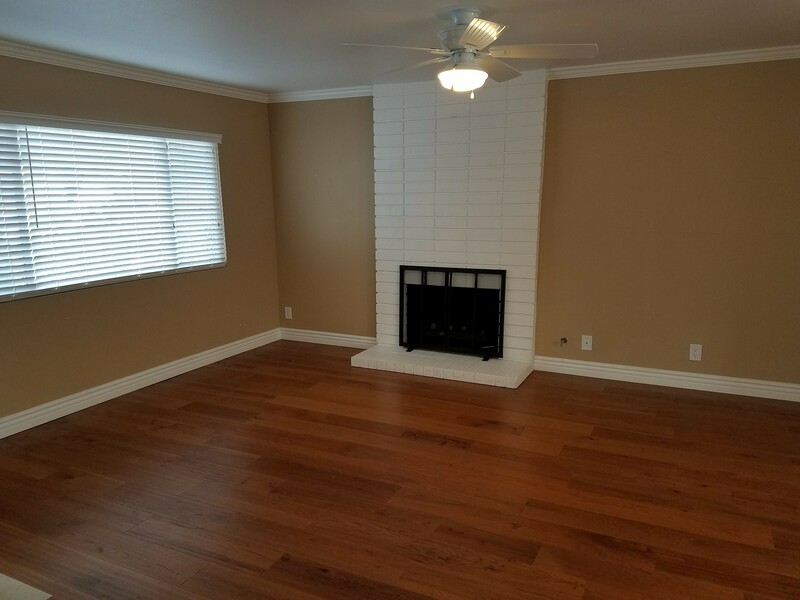 Highly sought after - Pride of Ownership AUTHENTIC COVINGTON 4-PLEX located at the end of an interior cul de sac street near Murdy Park - S/Heil & E./Goldenwest St. In 2010 this property was highly upgrade and remodeled to include new roof, newer double pained vinyl windows and sliding doors, Vinyl wood like floors (except #3 which has carpet), new cabinets, granite counter tops, appliances, new tubs, shower enclosures, toilets, window coverings and all new rear fencing in 2018. 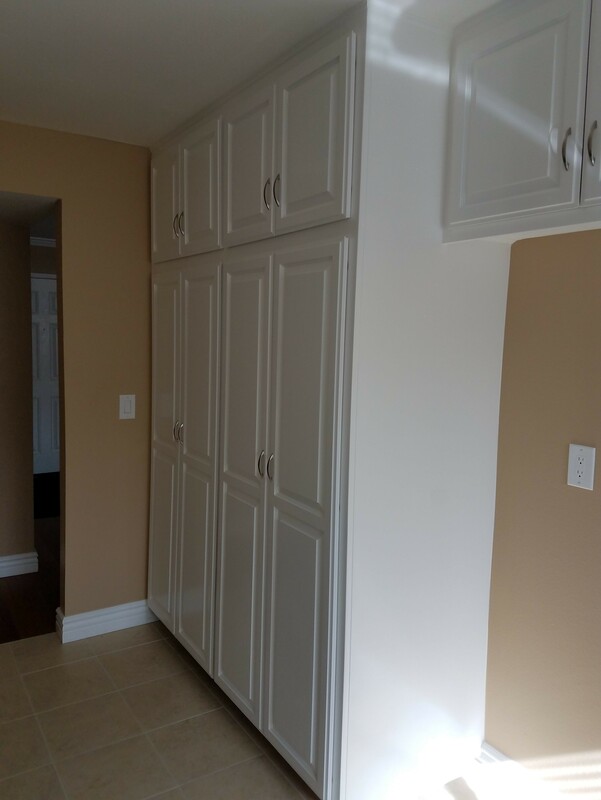 Interior remodeling of units #1 and #4 included opening up the wall between the kitchens and living rooms to create a very open, spacious and more modern floor plan (See photos). The very large common laundry room contains individual washer and gas dryer hook-ups for each tenant enabling tenants to each have their own washer and dryer... (Great Feature!). All but unit #4 have Forced Air Heat. #4 has wall heater. The extra large lot at the end of the cul-de-sac street allows for lots of extra parking, also a great added feature. Each tenant has an enclosed garage and additionally there are 5 open parking spaces plus street parking. Great current income is $96,300. Potential Market Rents of $104,340. Tenant occupancy dates are as follows: #1 = May 2018, #2 = Oct. 2018, #3 = 2011 #4 = in bldg. since 1993 and moved into unit #4 in 2010. Property was fumigated in 2010. Buyer to cooperate with Seller's 1031 Tax Deferred Exchange. Seller is in escrow on up-leg? Hurry on this one!!!!!!!! GREAT LOCATION IN POPULAR "SPICE STREET TRACK" IN COSTA MESA. This is a turn-key corner property with approx 4,614 sq ft and is very light and bright with lots of parking. Property is highly upgraded with over $60,000 spent in remodeling the front three-bedroom unit alone which looks like a model home and has a large yard with patio cover and separate washer dryer hook-ups on the patio. 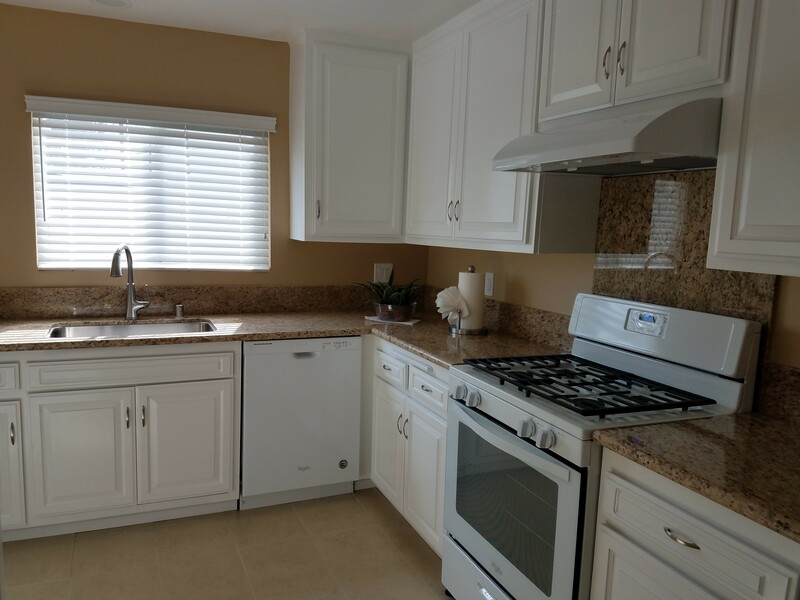 All kitchens have been recently upgraded with granite counter-tops and stainless steel appliances and include stainless steel refrigerators which are included in the purchase price. There are ceiling fans in all living rooms bedrooms and dining areas. Popcorn ceilings in all units have been removed. The outside metal stair railings have been replaced with "up to code" railings for safety. All newer roll-up garage doors with automatic openers. All showers have been recently completely upgraded with new ceramic tiles and decorator shower doors. The roof was replaced about six years ago. All tenants are long-term and are at very good rent levels...still with room for improvement to increase cash flow. Tenant deposits are 2,500, 1,650, 1,575 and 1,720. This one won't last long. So, hurry with your qualified 4-Plex Buyers. This is a meticulously built craftsman home with a detached duplex (Three separate living spaces on one lot). The property currently offers a generous monthly income as all three spaces are rented on a month-to-month basis with long-term tenants. The overall property offers expansive views and ample parking, including (3) garage parking spaces attached to the house and each apartment has an attached - direct access two-car garage. Inside, residents find high-end finishes and fixtures throughout, abundant natural light in nearly every room and tastefully designed open interior spaces. The property currently produces $102,600 in gross annual income. See YouTube video tour by searching the property address. This is a meticulously built craftsman home with a detached duplex (Three separate living spaces on one lot). The property currently offers a generous monthly income as all three spaces are rented on a month-to-month basis with long-term tenants. The overall property offers expansive views and ample parking, including more than (3) garage parking spaces attached to the house and each apartment has an attached - direct access two-car garage. Inside, residents find high-end finishes and fixtures throughout, abundant natural light in nearly every room and tastefully designed open interior spaces. The property currently produces $102,600 in gross annual income. See YouTube video tour by searching the property address. Rarely on Market Popular Spice Street Fourplex!!!! Location, location, location!!!! 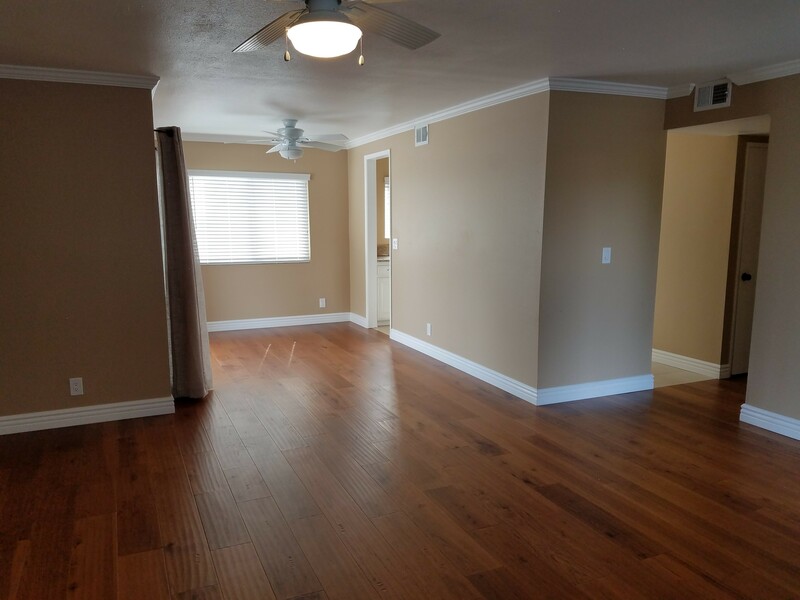 This excellent 4-plex is in a very desirable neighborhood conveniently located near the 405 freeway and west of Harbor Blvd. The following renovations have been performed: Newer roll-up garage doors, New Vinyl Fence for Unit A, All New Toilets in 2012, All new Forced Air Heaters in 2013, Unit D bathtub re-glazed in 2013, New Central Water Heater in 2016, Rain Gutters serviced in 2015, Complete New Rear Cement Alley 2 to 3 years ago, New "Speed Queen" Washer and Dryer in 2018. Unit B is currently being re-rented at $1,800/month. Very easy to rent. B unit is currently vacant and being rented for $1,800. Tenant in 3 bedroom had been thee since 1990. Priced to sell. Last sale sold for $1,682,500. Submit all offers. Hurry, Hurry, Hurry. This one won't last long. Magnificently remodeled and upgraded Covington Fourplex, excellent neighborhood near So. Coast Plaza. Virtually nothing left to do but collect rents. Excellent tenants and rents. Upgrades in last 2-3 years include: All new quality kitchen cabinets/granite counter tops, new appliances & plumbing fixtures. All new bathrooms - new tubs, new shower doors, new toilets, sinks, vanities & light fixtures. All units.. UV coated vinyl dual pane windows, new horizontal blinds. New ceiling fans all bedrooms, kitchen eating areas and living rooms. Insulation in floors/ceiling between upstairs and downstairs units. Ceramic tile and laminate wood flooring throughout. All new front doors, new water heaters. Units 1,2 and 3 have new forced air htrs. Unit 4 has new wall heater. New gar. doors/auto openers & partitioned inside. All new high quality redwood fencing and concrete patios for all units. Beautiful new decking & fencing/railings. All new drought resistant landscaping with drip watering system. Front lawns are artificial turf requiring no watering resulting in low water expense for the owner. The property has complete new beautiful landscaping. All units have W/D hook-ups in gar. Exceptional curb appeal & many more upgrades shown on the attached list of improvements. With 39 years of experience specializing in apartment sales, I have never seen a better 4-plex. Adjacent 4-Plex at 2702 W. Keller is also for sale. You will absolutely love this property. Please do not disturb tenants!!! Gorgeous Ocean View Dana Point Duplex featuring plentiful cool ocean breezes. 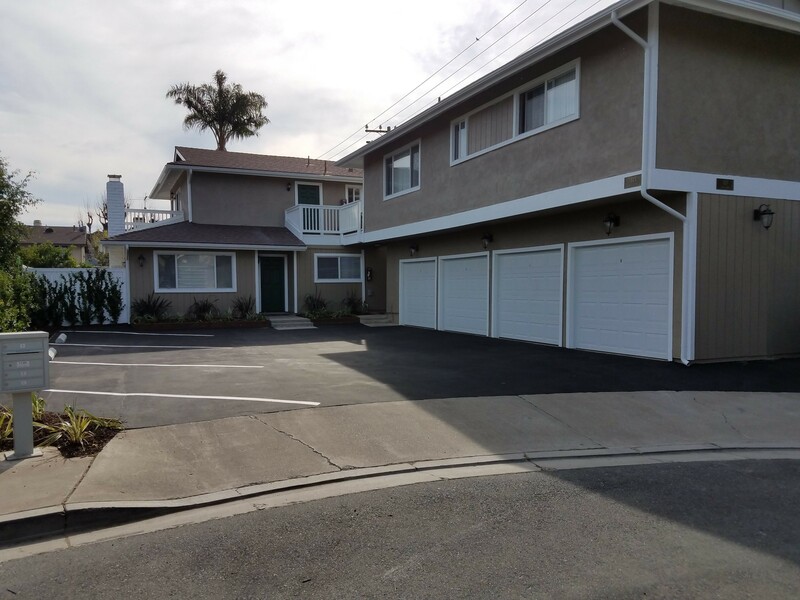 This is by far the best opportunity for a duplex investment in Dana Point. Located on an beautiful street with nice ocean views. Property is in great condition and has excellent curb appeal. All bathrooms and kitchens have been updated and remodeled with new stainless steel appliances, granite counter-tops and beautifully tiled showers. Beautiful newly carpeted, tiled and wood laminate flooring throughout. 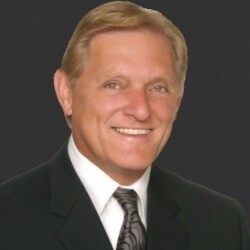 Tenants are excellent and there is room to increase rents. Please see photographs of the interior of the property. You will see that this property is in pride of ownership condition. Single family residences adjacent to this property on both sides. Large, nicely landscaped rear yard (see photos) Unit A has 2 bedrooms with 1 and a half baths. Unit B has 2 bedrooms with 2 full baths. This one won't last. Bring your pride of ownership Buyers and lets go to escrow!!! This is a rare opportunity to purchase a superior duplex investment with each unit having a very beautiful and large rear yard. This property has the income of many fourplexes. Each unit is a 3-bedroom 2 bath townhouse unit (approx 1,402 sq. ft.) with a two-car garage and newer roll-up garage doors. The beautiful rear yards are exceptional and provide relaxing areas for entertaining or simply enjoying a relaxing afternoon. Brand new Exterior paint, artificial turf, brand-new concrete driveways, and beautiful exterior lighting yields exceptional curb appeal in the day or nighttime. All new dual pained windows throughout. 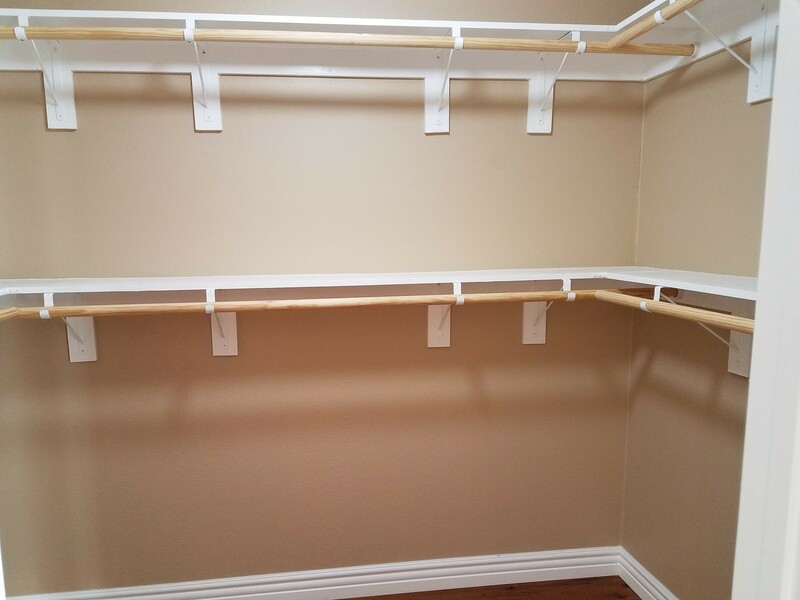 Each unit has washer/dryer hook-ups in their 2 car garage. 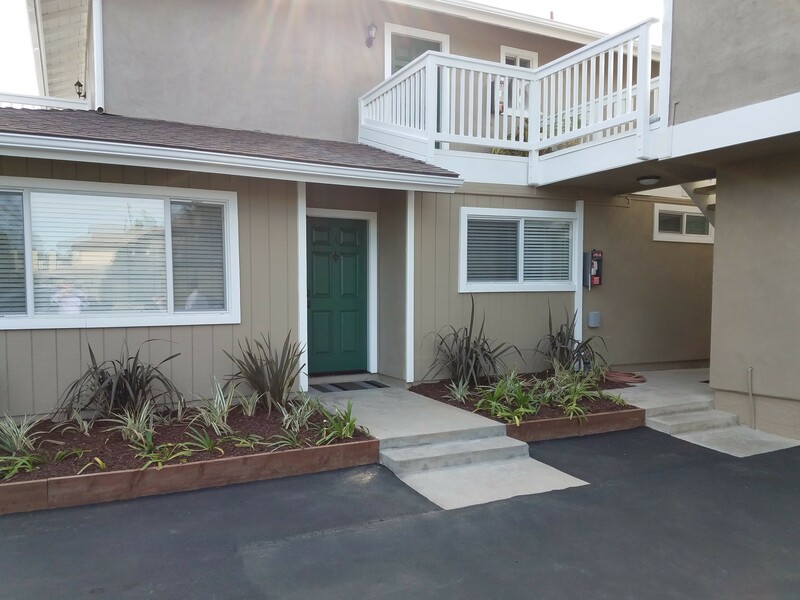 Re-landscaped rear yards and new concrete side walkways provide an enticing entrance to each unit. The roof is in very good condition. This is one you must see to appreciate. Located next to a very nice and well maintained condominium complex. Low maintenance and easy to manage. The numbers work with a cap rate of 3.93 and a GRM of 17.68. These numbers are exceptional for a property of this quality and location. Hurry, as this one won’t last!!! This is a VERY SPECIAL SINGLE STORY TRIPLEX on a SPACIOUS AND QUITE CUL-DE-SAC Street in Central Costa Mesa. This property features (1) 2br - 1ba with an enclosed 2 car garage and (2) large 1br - 1ba units each with a 1 car enclosed garage. The two Bedroom unit (unit A) has large square footage, fireplace, washer dryer hook-ups, dishwasher and forced air heating. 1 bd units have wall heaters. All units have nice and very large patios. All units are in good. All units have separate water heaters.This is truly an easy property to own with excellent long term tenants. It's hard to find a single story property in such a nice location on such a wide open cul-de-sac street. Hurry on this one as it won't last long. GREAT STARTER INVESTMENT!!!!!! Square footage is approximate. Excellent location in Aliso Viejo!!! This one won't last as it is priced well below recent comps. This well laid out two story unit features a very popular floor plan within the Provence D' Aliso Townhome/Condo complex. Approx. 10 x 12 Ft. loft can serve as an office, den or extra sleeping area. Good sized patio for entertaining and relaxing. Living room features vaulted ceilings and cozy fireplace. Kitchen has granite counter tops and is well laid out with large eating area off of kitchen. Direct entry from two car garage into unit. With some TLC this property will make a great home for your buyers. Hurry with your buyers if you want them to get an excellent buy on this excellent property!!! Capo Beach Location Perfect. Top Floor, End Unit, Studio with One Bath. Clean, ready to move in condition. Overlooks the pool area, and views of the Capo Beach Area, and partial ocean on a good day. Vaulted Ceilings, hard wood floor, slate kitchen floor, newly re-conditioned bathroom.